Know at any moment the status of your shipments. Is there a better alternative to iTracking? Is iTracking really the best app in Personal Info Managers category? Will iTracking work good on macOS 10.13.4? iTracking needs a review. Be the first to review this app and get the discussion started! iTracking needs a rating. Be the first to rate this app and get the discussion started! 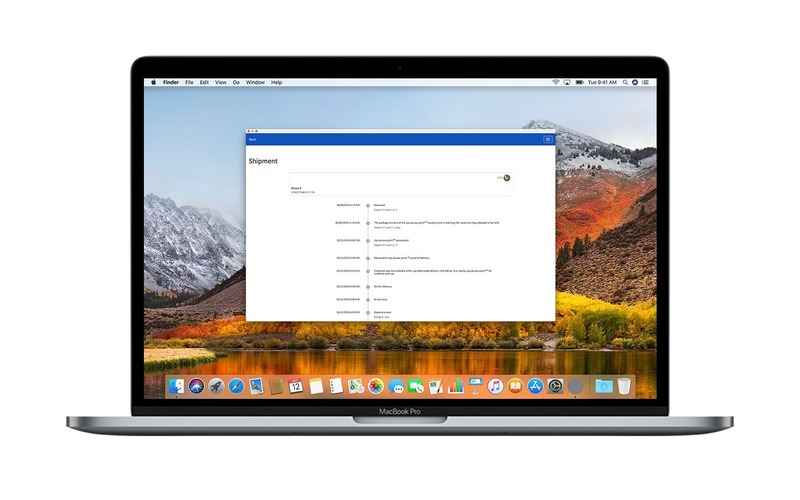 iTracking is the app for your Mac that lets you know at any moment the status of your shipments with the major couriers and postal services in the world. Whether you are a frequent user of the leading online auction sites, or just want to know at any moment where you find the package that you sent or wait, just questioning iTracking quickly and get the latest status of the shipment. iTracking is equipped with a convenient user interface, and is able to show the delivery status of your shipment by simply inserting a few simple data. It also has a store where you can save your shipments faster and for a subsequent consultation, the same can be easily synchronized with other devices (IOS) through a Dropbox account. Growl Notification: a notification alerts you when a shipment changes its state. Notification Badge: a number on the icon shows the number of shipments changed of state when the app is in background and the Growl notification is not viewed. Status Update: highlights the shipments changed of state. Dropbox Backup: you can make a backup of the shipments archive and possibly synchronize with iPhone/iPad application.